One of the best values on the beach, located on popular Shore Drive, Shipwatch Pointe II offers well equipped one and two bedroom condos just across the street from the Atlantic Ocean. 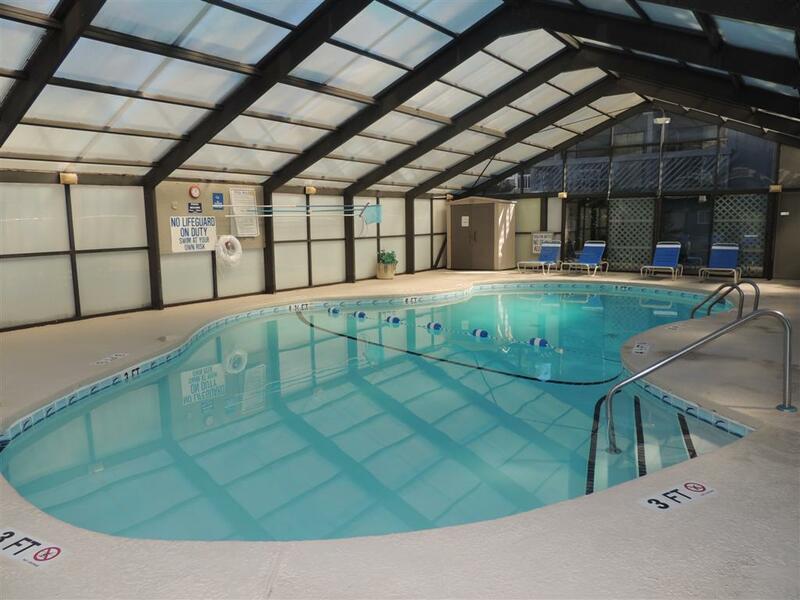 Spend some time in the outdoor or indoor pool, or just have a soak in the whirlpool. Besides these great onsite amenities, you'll be just minutes from restaurant row, championship golf courses, and outlet shopping. Shipwatch Pointe II is a wonderful place that guests return to year after year. "My husband and I stayed here for a week with our kids (ages 5 and 3). It started out rocky with our lock malfunctioning, but it was promptly fixed and we had no hassles getting assistance. They also offered an alternative place to stay if they were unable to get a locksmith out timely. The property itself is very nice and clean. The pool areas and hot tub are well maintained. The condo was very clean and accommodating (2 bathrooms; 1 adjoining to each bedroom). Location is good, very close to great restaurants, quick shopping and of course the beach. Overall we were very happy staying here and would recommend it to anyone looking for a beach vacation on a budget. When we go back we would definitely stay at Shipwatch Pointe again! " "Everything was wonderful except the sheets and bed: full size top sheet and blanket on a queen size bed, and a mattress that certainly should be replaced. We made do, though. The rest of the facility was perfect, especially having a dishwasher! (Nothing worse than hand-washing dishes while on vacation.) "
"We have been renting condos for a week long golf trip for years and have never been disappointed in the rooms. Issues (very rare) are always taken care of immediately." "Very clean and well equipped. Will be there next year." "always stay in this location. Had nice trip, and condo was perfect. Check-in was super fast and easy"
"Excellent location - close to restaurants, golf and beach. Condo clean with with beautiful grounds. Check in process very easy." "Unit was just a described. Unit was clean and well maintained. Great location." "Have always loved Myrtle Beach and the area we stay in. The condo was nice but could have been cleaner and some new window treatments could be used. Otherwise we had a great time." "Very Nice Condo, This Is The Second Time We Rented This Particular Unit, and Was Very Pleased With Our Stay . Grounds Are Very Well Kept, And Everything Was Great ! "We had a great time at Shipwacth pointe II, we will stay there again in the further. The only thing I seen wrong was the front door was hard to unlock, and the patio sliding door would not lock at all. " "My rental experience was pretty good. The only thing I wasnt happy about was, how the rental was set up. I had to make the my own bed! When I arrived at the rental the master bed appeared to be ready, but it was not! The bed had no sheets on it or pillow cases! I was unaware that I personally had to open the plastic bag and take the sheets out and make the bed myself. Also, all the towels and wash clothes were in a plastic bag laying on the bed. I think shoildve have been a better presentation or atleast have towels taken put of the bag and have the sheets already on thw bed.A lso, the water in the rental doesnt get hot..and the water pressure is low in the showers." "Property clean very strict on rules a little dissatisfied that pool and hot tub closed at 10 pm and when called re broken sliding glass door lock nobody ever came"
"This was a beautiful condo.Nothing fancy, Just rite for our family. It was clean and well kept and we enjoyed every moment! The management was very helpful and friendly?? We would definitely recommend this condo." "We Had a Great Vacation, Our Condo Was Great Very Clean And Orderly and well kept !! Very Convenient to Beach and Stores. We Will Definitely Stay Here Again and Will Tell all our Family and Friends. Thank You For a Great Vacation. " "Was great as always...only pool was closed several days So many Kids unattended by parents." "i loved other then a few small things"
" my stay was great. EVERYTHING was ready for us when we arrived." "I thought it was very clean and very close to the beach. Would like if another t.v. was there." "Thanks for a wonderful week!" "While that unit was nice the sliding glass door did not operate easily. I had to leave the door open so my daughter could go outside. Also, the fitted bed sheet for the master bedroom did not fit the bed. " "No tv in bedrooms only complaint"